Slide in threaded end insert at rail ends or screw-in screw at rail ends (countersink for flush screw head). The running track and mounting rail ends must be fixed with glue points when installed between walls. 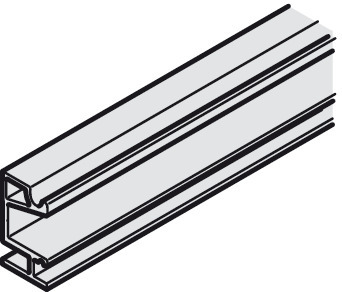 Mounting rail (18) and (19) prevent lightweight construction walls, for example, from tipping.